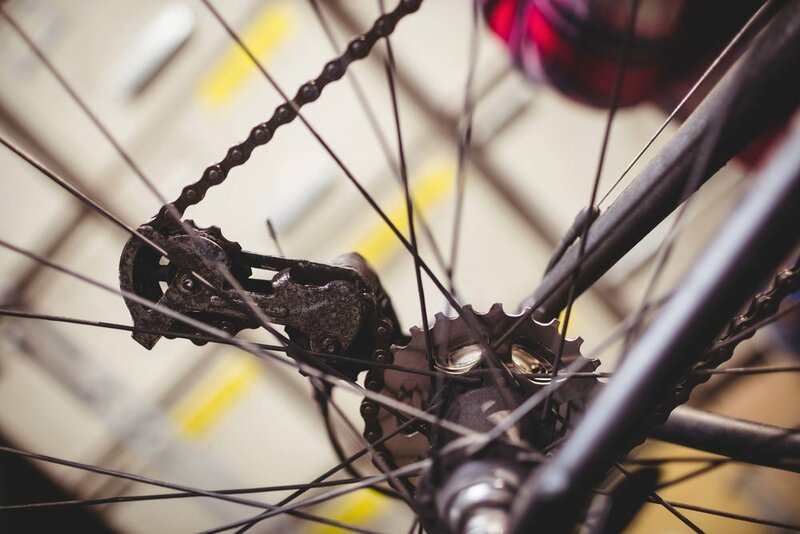 With the evolving technology and design of bikes today, it’s not a surprise that bike mechanics are now being faced with a range of maintenance issues that cyclists are struggling to fix themselves. Although a lot of these problems require expert knowledge there are some common problems that bike mechanics see very often that can be sorted with little experience and skill. Learning how to repair the basics on your bike will not only save you money from taking it to a mechanic every time something goes wrong, but it will also save you the long walk back home if you ever find yourself stuck on a ride! The drivetrain is the mechanical core of your bike so it’s no surprise that it’s often the area that requires the most maintenance. The importance of assessing wear on your drive train can be simple and it can save you the cost of replacing several pieces if left unchecked. A simple answer to keeping your drive train in best condition for longer is to thoroughly clean it more, especially through the winter months. Another solution is to stay on top of the individual component’s shelf life rather than leaving every part of the drive train to wear down. If you’re starting to notice the first signs of wear, we suggest swapping the chain and saving the rest of the kit before every component needs to be replaced.” Investing in a Chain Wear Indicator can save you a fortune in the future! No one wants a flat tyre but unfortunately, it’s one of the most common bike problems that we face as cyclists. Fortunately, it’s also one of the simplest fixes and a skill that will come in handy for years to come. To avoid a flat ruining your day when heading out on a ride we recommend always carrying a spare inner tube as a backup, a JetValve CO2 inflator, a couple of tyre levers and our self seal patches. If you ride tubeless, our tyre sealant is a preventative that will instantly seal punctures. If the inevitable happens, inspect both the tyre and the tube for the cause of the flat and remove debris. Rough up the area around the puncture, stick the patch to the tube and pump it up with a small amount of air. Place it back into the tyre and inflate the tube to its full pressure before fitting the wheel back on the bike. Having a slipped chain mid-ride isn’t fun and it can be even more of a nuisance to put back on. Slipped chains can be caused from different things including poor shifting technique, the chain being too long, or a worn-out chain or rear casters. If your chain slips whilst on the move, hop off the bike and use gear leavers to move the derailleurs to the positions of the smallest sprocket at the back and the smallest chainring at the front. Push the rear derailleur forward with your left hand giving the chain some slack. Then lift the top of the chain so it sits on the small chain ring, let go of the rear derailleur and the chain should be reseated! If the problem persists and the chain repeatedly slips off this could indicate a kink in the chain, a link which is too tight, loose chain or debris and gunk clogging the chains. Seized seats are often an issue that goes unnoticed with riders but can develop into a more major issue down the line. When a seat post becomes chemically stuck to the frame the quality of the frame is compromised. 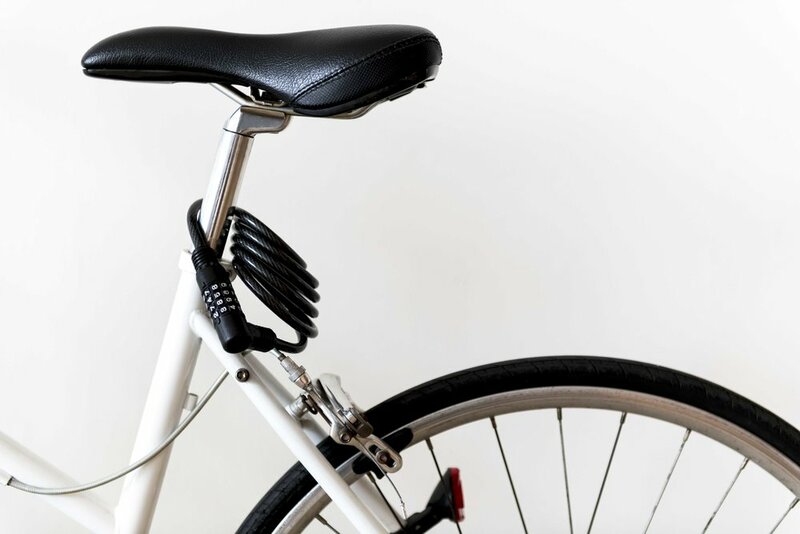 To prevent your seat getting stuck it’s important to keep the post clean and regularly greased – Try using our gripper paste to reduce the tightening torque required, and to keep the seat post slip free and easily movable. Overall, preventative maintenance is the best approach to keeping your bike in general good working order. From lubricating and cleaning to servicing and storing, all of these elements contribute to the overall condition of the bike. If you’re wanting to stay on top of these common issues maintaining general upkeep of your bike with quality products will save you money and effort in the long run. For more bike tips and hacks check out our other blog posts here.